Recently a blast of arctic air paralyzed much of the northern United States. One unexpected victim of the deep freeze? Electric cars. In San Diego and Palm Beach, Tesla’s roam freely in balmy weather and run on electricity derived from comparatively clean sources like solar and natural gas. Up in Chicago, it’s a different story. Much of their electricity is derived from high sulfur coal. Even worse, in the cold Chicago winters, electric cars tend to lose material power. This efficiency loss is a dilemma that challenges the real-world practicality of electric vehicles. 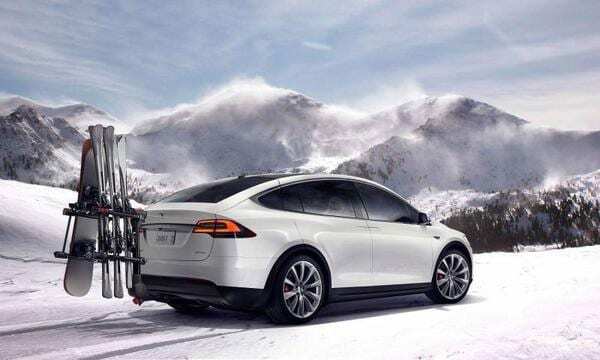 Bloomberg reported on February 2nd that owners of Leaf’s, Bolt’s, and Tesla’s were experiencing significant drops in battery capacity as a result of severe cold weather. Tesla made a door design decision that is coming back to bite some buyers. The Model 3’s handles are flush with the exterior of the car and require customers to push on one side, then pull on the other to open them. Ice is making that maneuver difficult for drivers who’ve posted pictures online of their frozen handles.Some are just venting, and others are writing to Tesla or Musk himself, asking for a fix. Musk tweeted on Jan. 25 that Tesla was preparing over-the-air software updates that would improve how its cars were holding up in cold weather. I own two plug-in hybrids. a Prius Prime and a Porsche Cayenne e-hybrid. Both of these cars lose about 30 percent of their battery-only range in temperatures below about 10 degrees F. Furthermore, it appears to me that the miles that these cars report to me as still available are used up more quickly in such cold. In other words, if the car says I have fifteen miles left, those fifteen miles are gone after twelve actual miles. I haven’t measured this effect exactly, but I do notice exactly that when I first start up a fully charged car on a cold morning, the battery-only miles that the car tells me is available is consistently lower by about 30 percent than in the summer. I’m glad I didn’t elect a battery-only car at this point.